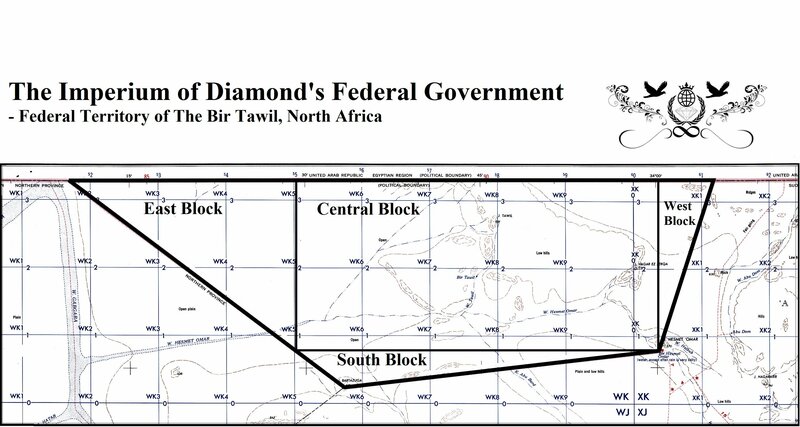 The federal government Imperium of Diamond's claim's sovereign right's for possessing territories Terra nullius, the so-called land border between the Republic of Egypt and Sudan. Territories are therefore designated as territory Federation of Diamond's Imperium. This creates a territory that will be used to build civilization's and the emergence of micro-state in the form of the modern city which will subsequently be extended to form a space civilization on the territory of the Star City. The federal government Imperium of Diamond's claim's, all the values ​​territories, the territories are always enforced back the full amount and according to all the claim's. I really very Thank for all Policy who can support open and starting the Refugees & Migration Camps in territory of Diamond Oasis. Your support is really very important and sucessfull for all people around the world. The Camps will be developed in dimension as a stable city civilization and immediately in start with all plans for quality life, work, education, safety, development social qualities. Diamond Oasis is open for all Migrants and Refugees from all around the world. The World Diamond Project International Alliance is the entity that owns all rights to establish their own sovereignty on the territory of the universe, the first civilization plan at several Galaxy and the steps for the development dimension at the subsequent Super Galaxy group. The project Corporatocracy government is the entity that owns all rights to establish their own sovereignty on the territory of the universe, the first civilization plan at several Galaxy and the steps for the development dimension at the subsequent Super Galaxy group. All governments and business corporations or traders who want to participate in the project because they have the right to encourage a new step for the development of an international center for the Colonies industrial plant for the production of technologies for travel between galaxies and colonization of planets, according to the technological plans Imperium of Diamonds and our common Intelligence possibilities. The first objective of the colonies, underground drilling to gain water from groundwater sources, the establishment of basic infrastructure, production materials and construction of simple construction halls on the way to a simple hangar, production zone super Hover Craft, simple dirt runway for light aircraft, Research groundwater resources for the establishment of a national mine metals, basic infrastructure and metallurgy industry, centers for storage of materials, simple farming center. The second objective of the colony is, the use of other planets in our galaxy, and the establishment of the International Alliance of WD or Corporatocracy new Planetary colonies under common financial shareship and therefore full Dynamical and High-tech civilization. 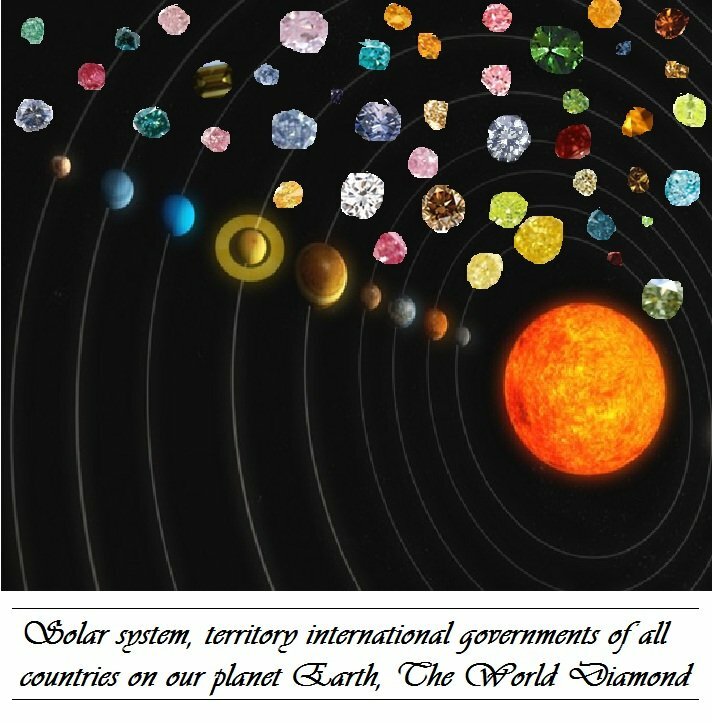 The People, movements, corporations of their concorsium, states and governments countries or all entity that will be capable of cooperation for the establishment of a new federal entity Imperium of Diamonds, therefore, can achieve the rights of use of public resources and markets colonies to establish new Imperium of Diamonds planetary colonies. Colonies can also post every movement for the independence of the community and the creation of a new state, if such a movement to legalize the act of their own policies for compliance with international law as well as legal interest for the federalization of the Imperium of Diamond's. A refugee camp is for all migrants, immigrants, refugees and other communities and give it the right to acquire citizenship of the Imperium of Diamonds and fully free life. Each country's government from around the world own all the rights to set up a refugee camp in Diamond Oasis, and the transfer of all refugees. Area which is partly under occupation, and not legally acknowledged the sovereignty of another state. Thus, if the government's ability Imperium of Diamond's, and the establishment of habitable civilization and will confirm the full legal claim to ownership and management of territories under the sovereignty of the federal government Imperium of Diamond's. Rockal own territory is territorial in nature are able to be synchronized with the civilization infrastructure project The Imperium of Diamond's, in the direction of the development of civilization. This mean's that the federal government Imperium of Diamond's own full right's to establish a new civilization. Civilization which is in the form of a large city behind the wall's that serves as a water dam. The aim of the construction is to build a city for several milion people. Construction will be simultaneously made for the possibility of extending civilization around the perimeter of the entire outcropping of rock from the seabed. The government Imperium of Diamond's half-interest in the dispute and conflict, a conflict that is based on stupidity. Therefore, the government Imperium of Diamond's trying to establish law and capable usefull, in the form of cooperation that is the only gain for each side. This creates a blueprint for the creation of a common territory, which will represent the values ​​shared civilization. Common territory between the conflicting countries, the main character. Territory which mean's the new center of the North Atlantic, the North Atlantic politics apex future new step's north of planetary zone. The city as a fortification mega city with a source of raw material's, port's, airport's, special space transportation, the special inner city farming, and many other similar form's of industry. All Territories of The Terra Nullius, with The ID's Government Claimed from 1998. The federal government Imperium of Diamond's never tries to illegal occupation of territories of other countries' government's or damage to the legitimate right's of other's. The federal government Imperium of Diamond's own major interest to unite all government's and their territories for the possibility of a genuine unification of the entire world. The World Diamond International Alliance, federal subject of The Government The Imperium of Diamond's. Stellar Cities in Universe, on every Island State in The Federation of The Imperium of Diamond's. European territories after bancrupted countries, France, Italy, the Netherland, Spain and other European countries. According International Right's, The European government's is not Legal Entities. 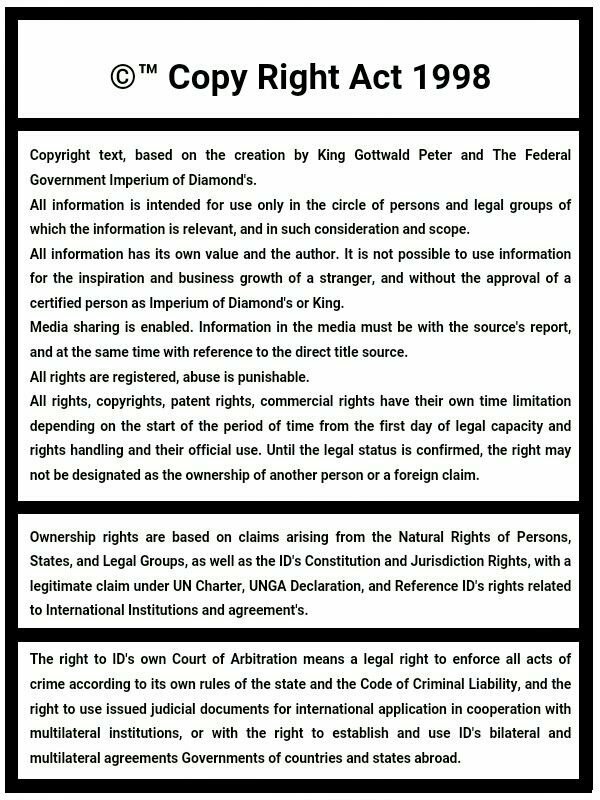 Legal claim for territorial sovereignity have only Federal Government of The Imperium of Diamond's. The federal government Imperium of Diamond's book provides for full entitlement for the announcement of a fully independent advocacy sovereignty and holding territory that are in the form of an island province or in the form of the island's independence civilization or overseas territories after disapear terrorist's and otherwise illegally active government's. European government's are not legally entitled to conduct sovereignty. This mean's that the responsibilities of sovereignty and any other claim's to territorial sovereignty takes hold and the right legally own Federal Government The Imperium of Diamond's. Therefore, the system utilized federal policy and that means every island or any other independent body civilizational own full right to guide their own country's government which was the main figurehead bodies and policy or national movement. The government's own claim to establish their own constitution and political system which must be confirmed by the Senate, The Imperium of Diamond's and the Royal Council. If the new government does not ask for confirmation of the federal government, because the territory is designated as Federally common areas of The Imperium of Diamond's. Thus, any State of this type becomes the legal form of the federal government in a federation The Imperium of Diamond's. Federal government's jointly establish cooperation and political activity as a federation, a multi-strategic entity. According to the constitution of the Government's of The Imperium of Diamond's, and according to the government's strategy, every federal member of their own are entitled to use the full federal support for establishing their own territories, national civilization and therefore expansion of territories in the space of the universe, in the form of the Stellar cities as the first civilization start in free space. Every federal government therefore uses its own Star city. Island states, island's, overseas territories and other territories that are based on the Imperium of Diamond's are therefore divided into State Sicily, Country Sardinia, Country Corsica, Country Balearic Island's Country Canary Island's, Country Madeira, Country Azores, Country Aruba, Country French Polynesia, State St. Peter and Michal, States Anguilla, Guadeloupe, Martinique, Country French Guiana, State of New Caledonia, Country Wallis and Futuna, French State and the South Antarctic island and the island's, Country Crozet, Country Reunion, Country Mayo, special federal Country of Scattered island's in the Indian Ocean. So it decided to expand the federation to 21 countries are fully entitled and application of all right's of Government in the Federation. Such a decision on compensation for European government's and the introduction of federalization of these countries is based upon a system of legally applicable rules of world politic's, so the decision is fully in force. Federalization will be confirmed through international recognition by government's of all countries and also from the state of democracy of the states, the nation, the legal population. Confirming once again the legal system functions through existing international agreement's and treaties, international political responsibility, because it is automatically declared legal sovereignty since 2010 and, if successful, the evidence is lawful sovereignty and territorial ownership already in 2000, perhap's even earlier. The federal government declared it's sovereignty The Imperium of Diamond's. States will be formed federation into a political and national unity, a common character as one interactive civilization. States that are not fully originating in the European continent, it is full of origin is therefore announced for the states of countries that must be deactivated on their policy and that these states will be confirmed as the territory of The World Diamond International Alliance. European states which support terrorism against the federal government Imperium of Diamond's, thus giving rise to liability of debt and gain financial sanction's, anti-terrorist nature and that may mean international support for the overthrow of the legitimate terrorist regime which will therefore be replaced by the federal government The Imperium of Diamond's. In the latter case, states that support terrorism, these countries receive financial liability for debt's which mean bankrupt economy, civilization, politic's and society, maintaining a presence at the last minimum values ​​or value to the full without ceasing existence. In these interest's, there is Terra nullius territory, a territory of large kites government Imperium Federation of Diamond's own greatest claim of sovereignty over European debt, the federal government Imperium of Diamond's own as a single entity the right to establish full sovereignty over the territories. Government's of countries that are unwilling to respect political obligation's, the government will therefore be the obligation upon the immediate separation or below the militarization of security nature and with the approval of the main figurehead department's of global security. The project One World is one of the most important source of territories on the planet Earth. The project is designed to create a global unification of all government's on the planet and therefore the ability to create One World, one nation and government without differentiation, new world, and always as the most important direction of all mankind. The One World project is designed for the federalization of government's around the world. Federalisation which can be used by any government of the country in the world, without distinction and blocking, so since 1999. Today, the project is The One World illegally blocked by European government's. This mean's that European government's are having to pay the full obligation upon all lost value for any government that recognizes the interest is already federally unite in times past. Each government therefore lawfully obtain's value ratio greater than several planet Earth, when converted only basic territorial application. Therefore, it is possible to declare that the federal territories are based on the part of federal entities in the security anonymity. Territory with an unspecified form of territorial determine because it depend's on the decision. Territory can be established for 3 year's for the opportunity to build a territory in space. At the time of construction of these territories outer space, then it will be stopped by force temporary territory. Confirmation of temporary territory can provide a multitude mainly European government's that now own cause economic losses and the threat of extinction of civilization, politic's and the state government's. Therefore, the best solution is to ensure the formation of the Interim territory and therefore maintaining justice and security. Every political party that will support this step, therefore, will own more lenient court sentences for terrorism before the judicial parties and other government's or government Imperium of Diamond's. Support for Temporary territory may include non-inclusion of person's to the status of terrorist and criminal nature and responsibilities of the crime. In the interest's of my childhood has been to create an aquatic center under water. Centre which may be in deep water areas of the ocean. That is to be able to create a civilization of several milion people as a first starting position. Water city with full recovery capabilities in order civilizing activity. Water town will be enhanced through the construction of new artificial island's and therefore create a large atoll which is able to accommodate 25 milion people. The form of these territories is based on the determination of categories of federal ownership, together with the possibility of using other atoll's as a special bilateral and multilateral form's of joint territories. The Kallaalit Nunaat, Island based on partial claim's for federalization with The Government of The Imperium of Diamond's, according National Protestation for Independence or not valid legitimation's of sovereignity because neocolonialism. In interest of Federalization, Government of Nuuk and other Province government's is federal part in the Federal government. Greenland is a semi-autonomous territory with the sovereignty of the Kingdom of Denmark because of colonialism in the past centuries. The island is inhabited by Inuit people who own the full claim to territorial sovereignty and independence. Inuit nation announces protest against Denmark and the majority of the population call's for independence. The island is therefore entitled under the sovereignty of the Greenland Government. Most of the island, more than 95% are without merit civilization and values, or any other administration over the territory. Many, other countries such as USA, Canada, Russia and other countries, asking for recognition of the territories of Greenland as their separate territory and under their created self claim's, therefore they are created a military basses or special station's. Government Imperium of Diamond's own interest for the use of the national right's of the government with the right to independence Inuit settlement's. Therefore, I want to ask about that federalization would mean maintaining the full value of any territorial nature. Then I want to ask about the possibility of establishing it's own sovereignty on the territory of Greenland, in areas where there is no element of civilization or management of territories. Government Imperium of Diamond's rightly been asking for since 1999. The Imperium of Diamond's, claim's for sovereignity according Right's for candidacy in the National Voting of Self-Determination for The Sovereignty. The Western Sahara is Illegaly occuped from Morocco Kingdom and Population of Western Sahara must live in strong violation or Refugees camp's foreign. Western Sahara is under occupation by Morocco. The nation's own full entitlement for the announcement of self-determination but Morocco support's the occupation and conduct's public and violent oppression against national law's. Morocco and also harm's the Security Council resolution's and therefore Morocco becomes a real party of world terrorism. Party UNSC is not yet able to respond to the situation and reality, the body is not capable of political activity. Legal interest in the profit side of the SADR sovereignty. SADR call's for sovereignty for over 60 year's until today. Most of the nation recognizes the SADR and everyone protesting against Morocco. SADR own's over 95 international legitimization of sovereignty. Government Imperium of Diamond's administration want's to acquire territories under the Autonomy and therefore provide legal option's. If the nation then recognizes the Imperium of Diamond's as a sovereign entity, then the territory will be established with legal sovereignty. SADR and Polisario own right for the establishment of territorial representation in the form of government of the country. Therefore, it will create SADR sovereignty. Western Sahara is again expanded to include territories in the form of the Stellar City, according federal cooperation. State of Palestine is in special political situation. Project's of The One World is dirrected for create common political cooperation and therefore Declare federalization of The Palestinian state and defend territories and nation. Palestinian state is occuped from Israel government. Palestine is a state that is constantly under oppression and terrorist activities on the part of Israel for several genocides that the last ten year's have meant the loss of the territories of the Palestinian state and it's damage. State of Palestine now uses as it's own territory Gaza Strip, and together with the remnant of Palestine. The government is active and internationally recognized. The government's goal Imperium of Diamond's when federalization is to ensure full security for the state of Palestine, to ensure the return of the claimed territories to ensure full activity policy and membership in important organization's. The main target is the same again, create Palestine the Stellar city in the universe. The Kosovo was declared because of disputes and military conflict's. Today, the Republic of Kosovo recognized by international politic's. Kosovo's own party, therefore, qualify for the unification of federalization and recover lost value as part of the European policy. Kosovo's own claim for unification, and that is published here for reason's of legal certainty about the effort of the federal government Imperium of Diamond's get each new entity in the federation, thus ensuring the full unity of all states to stop expanding world of new territories and permanent damage to the value of Unified humanity. Montenegro is just a neighboring country which is based on a legal claim immediate declaration of independence and recognition from other government's around the world. This creates a system where the Republic of Serbia and Montenegro becomes entitled to the right as anonymous entity federation, and thus seek such values, with the development of territories in the mold of outer space, to the level of the Star City. Thai-Wan is a political entity of government that is today recognized political legitimacy as a government. Thai government of Taiwan's sovereignty in the territories of the island is the town of Tai-pei. However, the government requires additional territories in recognition of China as a legal sovereignty. My interest's to federalization of Thai-wan government to ion of Imperium of Diamond's and expand the territory of Stellar City, around a Hundred of planet's in the Univers, my interest is not in the direction to expand the conflict on territories that are not fully confirm the value claim, I do not want to extend the conflict and the poor or damage the value of international rules or harm the cooperation of the common need's. South Sudan can take advantage of federalization and therefore get all the necessary values ​​of civilization. Drug s, medical center's, agricultural grow and many other important raw material's. The South Sudan can be developed to the values of The Most Development coun tries around the world. This is a Federalization of The Imperium of Diamond's. Another state who recently declared independence becomes a territory of Singapore. Singapore's own right for the federalization of which is eligible for the extension of inventory and business network's from federal sources and therefore provide a much wider range of production relative territorial values. For Singapore, such action is truly important opportunity and a great way for the future. Aksai Jammu and Kashmir territory to the territory between Pakistan, India and China. Government's interest Imperium of Diamond's is to create a joint center for cooperation and thus establish a safe option for the purchase of territories and the establishment of civilization behalf of the Government of Diamond's Imperium. Terra nullius land on the border area between Egypt and Sudan, then between Sudan and South Sudan. Territories are legally designated as Terra nullius through government's and their rezolution of territorial border's. From the area of ​​the town Halayeb access to the sea and with short distances to access the holy city of Mecca in Saudi Arabia. The soil is capable of exploitation in the interest's of agriculture or industrial activities. As a development step will be the creation of independent transport's, airport, port and center of cosmic special touch connection city-station's. Executive Guiana is based on a dispute between the government of Venezuela and Guiana. Venezuela claim's part of the territory that today is not legally confirmed as legitimate demand's of Venezuela. If successful, the territorial dispute, my interest is to buy the territory and set up their own sovereignty. A similar conflict arises between the government Guiana and Suriname. This creates the same requirement. In the interest of this case is my main interest in the joint effort to unify territories in the form of a federalization of Venezuela, Guiana, Suriname and soon unite with other countries in the Caribbean and South America. The dispute over the Spratly and Paracel Island's in the South China Sea. Liancourt Rock's, Senkaku, Shikotan, Habomai Island's, other. A similar territories in the central Chinese sea island's are located in the same conflict between all territories dispute between Japan, China, Russia, the Philippines, Malaysia, Vietnam and many other countries in the Asian continent. My goal is to create a financial exchange for all the island's and thus earn the right to sovereignty of the government of Diamond's Imperium. Legal acknowledgment of sovereignty can be achieved through financial and commodity exchange, or for example through exchange on territorial desktop. One of these option's as the creation of alternative territories in space, on the territory of another planet. I was able to pass on any payment immediately in the short time since the handover. My option's for change-value is according our ratificable agreement, in any values or price. Similar territory may be used in order to create a common territory in the form of an alliance of government's with the sovereignty. This creates a common center of economy and civilization. Government Imperium of Diamond's own great interest in supporting the development of these center's through significant investment and opportunities that are such an important club. At the same time the reality is that if any government recognizes the right to sell these territories, it is possible to confirm this interest since 1999. Personally, I can confirm that my biggest concern is to get the Liancourt Rock's islands and other islands of this type without a settlement. Similarly, island Tokdo. Navas is a small island in the Caribbean Sea. The dispute claim's by the US and Haiti. But mostly the island belong's to Haiti. Interest is the same again, gain island and establish essential center of civilization that will be in the form of a small city of several milion people. Olivenza is a city in southern Spain. Olivenza is under the controversial territorial zone which is in Spain but below the interest's of Portugal claim's. Olivenza is a smaller city that is traditional in the current context of disputes between the Government of the Imperium of Diamond's and the government's of European countries, is now the best option before the administration of the city and allow the establishment of sovereignty. European policy can therefore take advantage of such opportunities to promote a just solution and also to encourage the cessation of settlement expansion for which the country is full of bankruptcy and the threat of extinction of civilization. Olivenza therefore entitled to create their own custom Star City and thus extension of the common civilization. Olivenza will build their own country by the government of national democracy and self-determination. Furthermore, there are different types of micro territories which are for example in the form of action to the border strip. Territory which does not recognize the ability to establish a civilization. Because's plan to create a border agreement between the countries which represent the extension of free space between the border and therefore the ability to achieve the establishment of a common civilization which is under the sovereignty of our government's. Brazils island Tarabarov and surrounding area in the Durand Line, Ikem triangle Dragonja _ to extend their disputed border and to create a common area between the three countries. Territories as disputed border's and their use in order to create a common civilization, and may be re-used at any time in case of the use of common agreement's on common civilization. Agreement on Dual, Trial and multilateral civilization has always been possible to jointly declare from 2000 until today and at any time in the future. Therefore it is implemented and legal claim for recovery of all claim's. Today there are big problem's around the world with the threat of global warming. This may mean melting glacier's and consequently increase the water level. Water level at a high level, therefore, implies global flooding and flooding of several island's or continent's in the world, a large part of the American continent, a large part of Australia, Africa or Asia and Europe. It is true that in a few year's may lead to flooding of vast majority of the world's population. Government Imperium of Diamond's own sufficient technological plan's and therefore the possibility to be built a large dam around all civilized areas that are threatened by flooding and increase water level's. Technologies which are capable of forming a solid wall around the entire circumference of the continent, thus establishing isolation and safety. Therefore such work difficult step in the interest's of the value of these territories does not have sufficient value to build such a dam, so the government Imperium Federation of Diamond's call's for shared federalization and ensure cooperation. Creating a step for federalization therefore immediately implies full effort's to ensure the existence of your territories and civilization's. If not reached a common federalization, then I give nation's claim citizenship and the building of new territory in the form of the Star City. So I ask and I offer today, 2015 and earlier, 2000. The federal government Imperium of Diamond's therefore creates a system in which such a right may claim in the event of a disaster or ask any nation and government. The Imperium of Diamond's is a government that is trying to prepare enough of civilization's in the Universe, to help all of humanity at risk of losing Earth's gravity in a theoretical 2050. The new cosmic civilization in the form of one planet. Government The Imperium of Diamond's own full and according to international right's actually confirmed the demand's for having a space territories and is entitled to full sovereignty, sovereignty and legislation, expansion of civilization. Territories that will be an area in the form of several cities of the Star, Galaxy, Super Galaxy group, followed by an analysis of the legal of territories. Standart potential of The Imperium of Diamond's, one federal civilization is minimaly accros a One Whole Planet. Star territories of cities is based on a special form of civilization that is in the form of one of the city oportunities full function's as one of civilization. Star city consists of 100 planet's that are in the form of a population of civilization, the other planet's as agricultural zones, other planet's are in the form of industrial zones, some civilization's are in the form's of android civilization. Many planet's are used for the extraction of raw material's, some planet's are used for nature reserves or special center's. Stellar center will consist of the planet's by using special technology can be transferred from a distance of 500 milion light year's. This mean's that one Stellar city will actually use a value of around a hundred planet's. Stellar cities are designed to establish new territories in order federalization of each entity. This created a system which according to the constitution of the government Imperium of Diamond's duty to give to each federal entity founded Stellar own city. King's own territory that are in the Federation of Diamond's Imperium. Royal territories are based on a format that is able to create a King of the country, and according to his interest. Royal territories is therefore based on the area oer several super cluster's of galaxies in the universe. Territories are again in the form of Cosmic and Universal ship's and station's civilizational character and within the open space and limit development plan created by civilization. King's own claim for an extension of federal and own territories. Territorial posibilities in Distance's of 50 Milion LY's from planet Earth. Territorial posibilities in distance's of 500 Milion's LY from the planet Earth. Territorial posibilities in distance of 30 Miliard LY from planet Earth. Bilateral & Multilateral civilization, it is an act which mean's that your country's government may use special option's that lead to a common line and cooperation between our government's and our civilization. The agreement therefore could create new space civilization under the joint sovereignty of our government's. Civilization will be based on the area planetary nature of which will be subsequently extended into the Star City. Our stellar city will soon actually based on a system where part of civilization will be created from the human population and residential center, another of the many other values territories android civilization's of different kind's, or other form. The new project of the country is based on an attempt to exploit Project The One World and together with all political parties to support this project and are entitled to establish a joint confederation as a government over a new planet that is united and represent's a world without border's. The planet will create a civilization in the form of a monument that is a symbol of every important event of the time in which it played a significant event on the planet Earth. Monument's, squares, important building's in the name of important political event's, political names, scientist's and important step's of humanity. A city that represent's the unity of the human race and all of our shared values ​​in the interest of the most important event's in the period of human history. On the planet will be built a wall of statues of all the people who supported the unification of mankind. 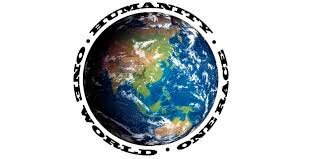 The unification of humanity is the most important step for the future of our planet Earth and the human race. All government's without full legitimacy and states or territories without government recognition. The opportunity to become part of the Federation of Diamond's Imperium, so will your territory formed the planet's of the solar system, and thus arises from your country Star City that will be part of the federation. For connectivity it can be used by each country on the planet or any where in the human world. Each country's government or state from around the world. One condition is to ensure the maintenance of safety and not to support activities which are in the form of an internationally recognized crime. If your body recognizes it's own criminal activity by your government or the state own's qualify for federalization but in the condition that your Government will continue only lawful activity and not conflict with any right's and principles. I'm too willing to create a Star City for the unrepresented peoples. Somali clan custom disputed territory but which belong's right's under national self-determination and it is true that the Somali government's own full right to use federal menus and the creation of active cooperation, re-development of the common area in the space of the universe. Partial Tibet government in exile is based on the situation. My goal is to ensure the joint development of federalization and territories in the area of ​​Star cities. The Tibetan government today strongly requires the territory to the territory of it's own sovereignty, as it is today in my interest's and provide for the Tibetan government to create, but if the government of the Republic recognizes Tibet option's for our federalization. This creates a federal state and government who will use the territory covering over several planet's in the universe as one big city of the Tibetan nation. Link to the government's without full recognition. Territory Government's The Imperium of Diamond's are based on form's as expanses of the value of the distance of the territorial part's at a distance across more than a few Doctilion's of Light Year's from planet Earth. Government Imperium of Diamond's own interest's and acreage civilization format's that can be used as a true civilization in the form of stellar town's, in the form of the Galaxy, and many format's as a super group of galaxies as a one territorial civilization. One Galaxy is territory around the 3.100.000.000.000 planet's. Following the completion of full independence will set up other program's for the development of civilization intelligence. Program's of this type are able to achieve the expansion of territories to form the actual active civilizational infrastructure covering over several super cluster's of galaxies in the universe. Many of the special territories goes to modify the format of special civilization civilization's in space station's and spaceship's. One station or transport ship can be their own capacity and function's able to sustain the life of the population for more than a few tens of milion's of people as a base. Some station's will be expanded into a civilization for several miliard people. Such technology center is fully autonomous, with full restoration capabilities and expand it's intelligence for development and modernization. The center is designed to achieve the capabilities of the full value of independence in the interest's of all raw material's and resources. Each center is fully mobile and actually being able to travel at the speed of some form of biliard's light year's per hour, some center's may travel to distances across endless or infinity light year's per second.